Chanukah Olive Oil cups, for an Chanukah Menorah. Made with 100% pure mehudar olive oil. 44 Self-Standing Pre-filled Chanukah Olive Oil Cups Ready for Use. Never spills and burns safely. Comes in Medium and Large. Choose size options in menu above. Made in Israel. 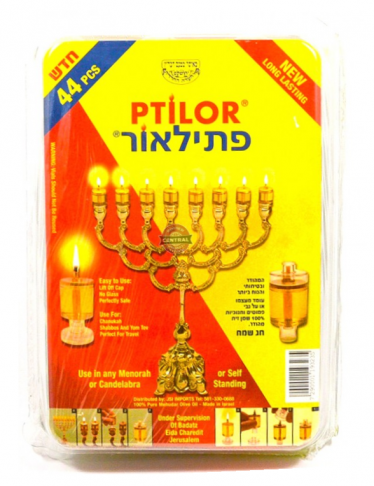 This candle set has a valid Kosher Certification from the Jerusalem Rabbinate. Can be used for Chanukah, Shabbos and Yom Tov.